Should you book both cottages (8 persons) the price will be R2,000.00/night. Somewhere in the middle of nowhere you will find a piece of heavenly peace. Imagine returning to the old world charm of paraffin lamps and cosy evenings around the fireplace; supplemented by solar energy. All the above you will find in De Vlugt, a tiny hamlet at the bottom of the Prince Alfred’s Pass that was built between 1863 and 1866 by Thomas Bain, the brilliant road engineer. Bain and his family moved to De Vlugt in 1863 and started building a few houses. Here in this valley the air is clean and crisp and the quietest of quiet is soothing for the soul. The night sky is something to behold. It seems as if you could pluck a star and put it in your pocket! This is a great place for hiking, mountain biking, lazing around the pool and simply doing nothing. Soak up the mountain scenery and find your own self again after the stresses and strains of city living. 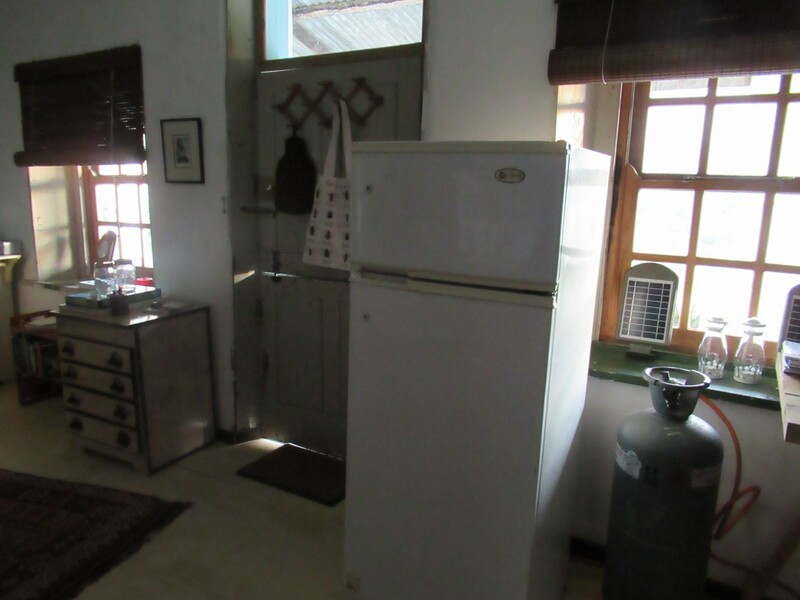 In the hamlet you will find ‘Die Plaaskind Padstal’ where you can sit beneath a massive old fig tree and enjoy cake, tea, coffee and light meals. But Plettenberg Bay and Knysna are a mere hour’s drive away. The beautiful Diepwalle forest near Knysna starts about 20kms from here. The fruit-growing region of the Langkloof is 18kms away and the quaint town of Uniondale which is situated amidst beautiful scenery about 30kms. Here you will find a number of restaurants, fuel and grocery shops. 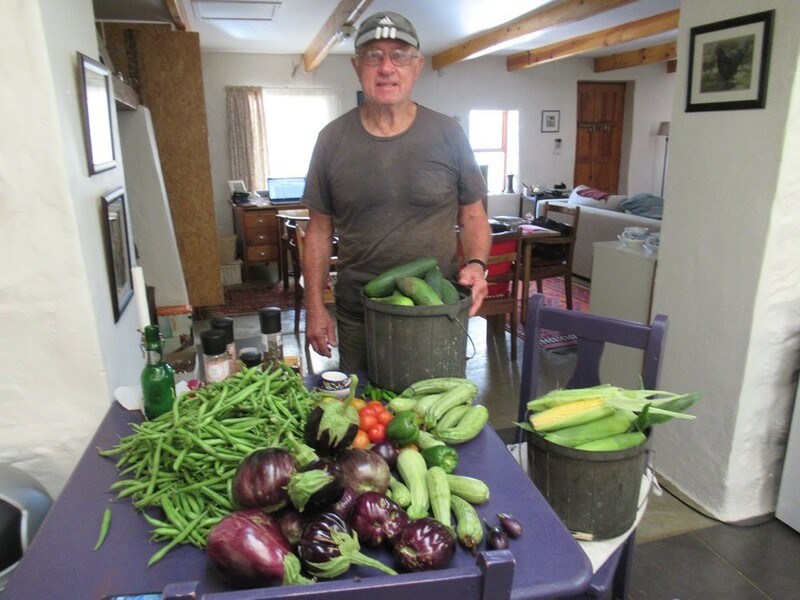 George is situated 110kms away, reachable via either the Montagu or Outeniqua Passes. Some beautiful art galleries can be found on the N9 only about 35kms from De Vlugt. There is a lot to do if you have the urge and energy to go anywhere. 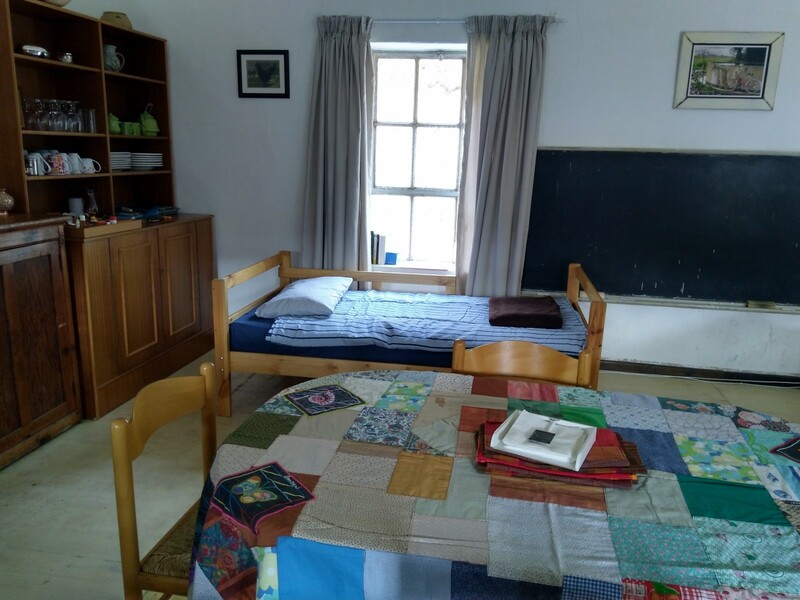 Use the Old School house before or after a trip to the Baviaanskloof. It is within easy reach. There is no cell phone reception in this neck of the woods, but we can tell you where to find a signal and in the event of an emergency you will be able to use our landline. We offer a beautifully restored self-catering cottage built by Thomas Bain as a school and chapel in 1864. Adjacent is a little wooden house. 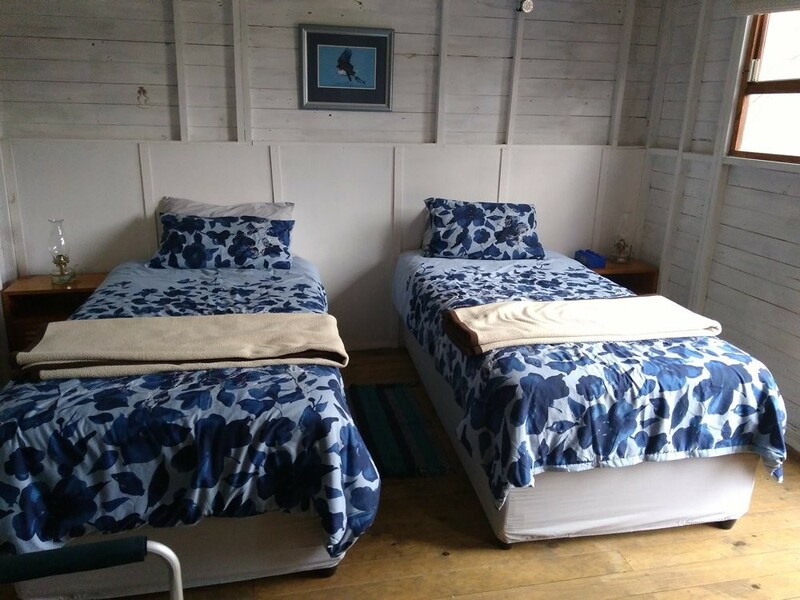 Both cottages sleep four persons. This is an ideal destination for a group of friends or a large family. There are two bathrooms with all amenities. 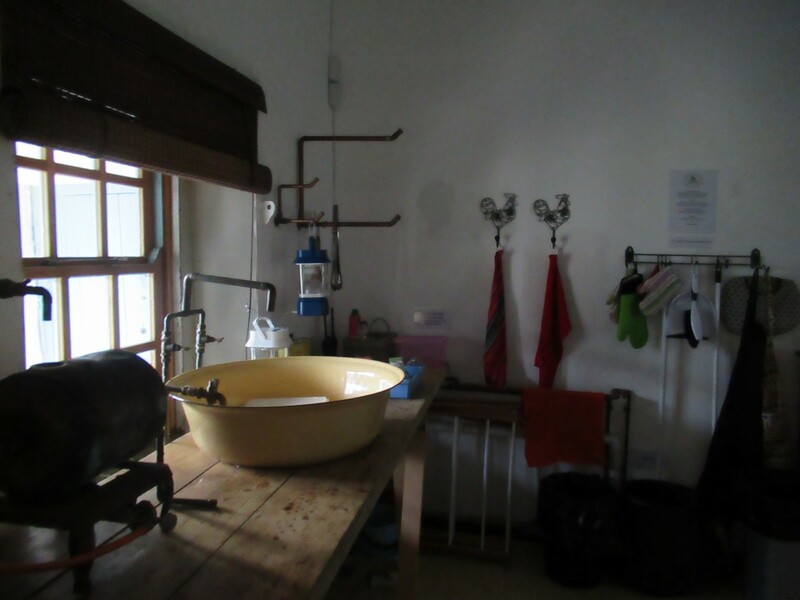 Hot water is supplied to both bathrooms via a boiler known as a donkey. This requires the lighting of a fire under the boiler, either in the evening or in the morning. A gas cooker and a fridge, as well as a Jetmaster fire place are available in the house and there is a large outside barbeque. The steps that lead to the pool on the lower embankment might be a challenge for the elderly, but you could drive down in your motor vehicle and still be where the action is. The Keurbooms River is less than a hundred metres away from the house and you will hear it burbling. 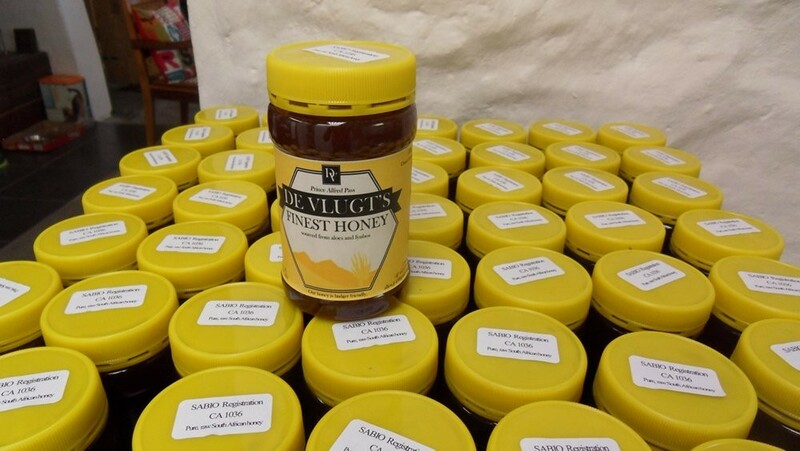 We have our own organic vegetables and honey, as well as eggs and preserves for sale when available. We shall serve dinner on request. Travel on N9 towards Uniondale. Turn off to the right ±55kms from Outeniqua Pass/Oudtshoorn junction and follow the gravel road towards Joncksrus/De Vlugt for 26kms.In de Vlugt, at the T-junction , turn right and drive up the road for approx. 300m . Sign “Skoolhuisie”. Drive down the Prince Alfred’s Pass, once in De Vlugt follow the road until you find a sign on your left “Skoolhuisie”. Follow the Prince Alfred Pass for approx. 50kms. “Skoolhuisie” sign on your right.